1st April we went to see the shop. Ours now, and properly insured and serviced and meters read and reported. 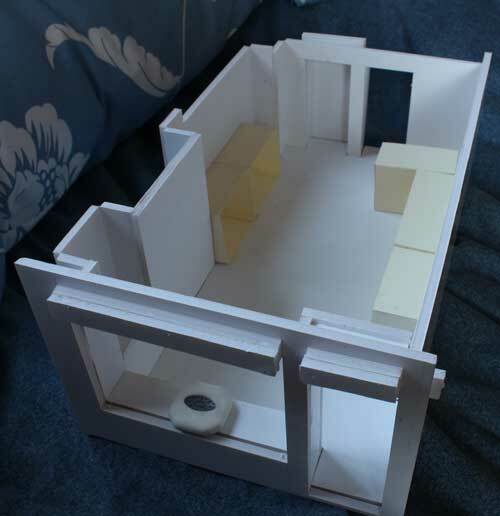 Trouble is, we now have to do something with it, and all we have to go on is a foamboard model. 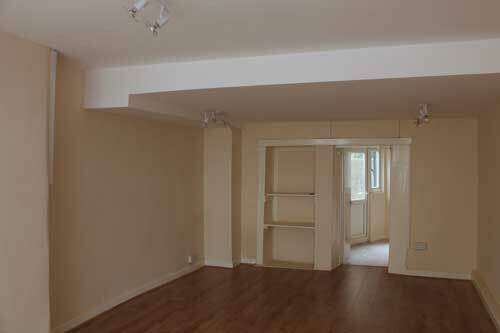 The whole place wasn't as flat and level as Paul had thought, so it took two people four days to get the work done - with several trips to B&Q and Jewsons to get hold of wood/screws/caulk and other bits and pieces. Then it was counters. 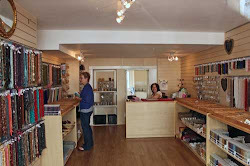 We found a good supplier of flatpack counters at ShopFitDesign - some good relatively cheap and well-made stuff there. Would probably have helped matters if Paul had not assembled a counter back-to-front so the drawer would not fit under it. 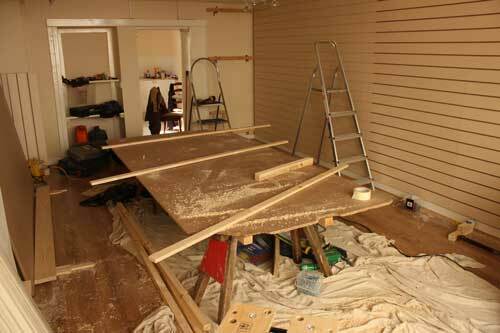 Even then there was a whole load of filling and painting to do and the shop gradually filled up with black bags full of detritus. Cleared them eventually and it filled up with more. Keeps doing it - we don't know how. 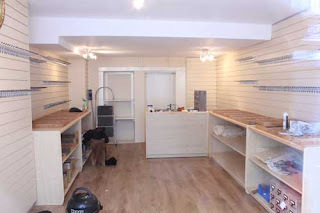 Kind of a strange month - we did a lot of work and ended up with something that looks like a shop, but there's still no stock. Oh, and no till either. Dammit, we have got to get a till.